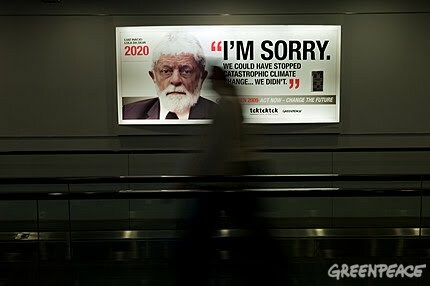 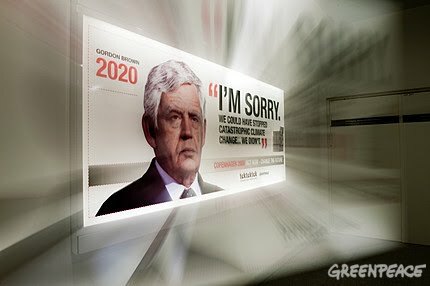 Greenpeace has created a campaign featuring images of world leaders, including Barack Obama and Nicholas Sarkozy saying 'sorry' from the future, for failing to prevent climate change today. 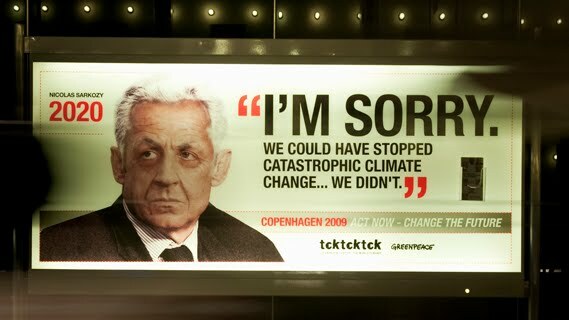 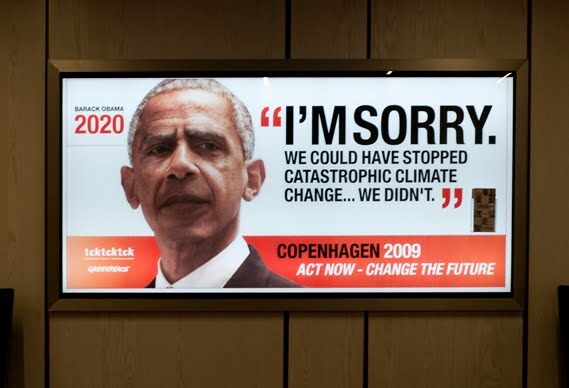 The ads will run around Copenhagen airport up to and during the 15th United Nations Climate Change Conference, being held at the Copenhagen Summit. 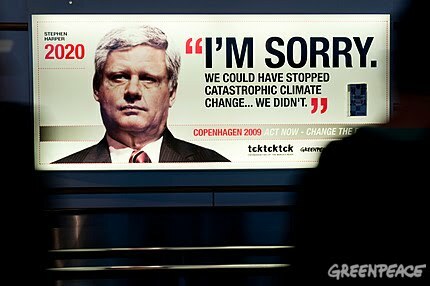 I think we like them, I think we like them a lot.